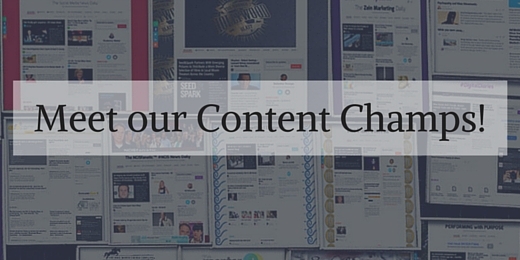 10 Papers That Are Winning the Content Game! Dale Carnegie once said “Flattery is from the teeth out. Sincere appreciation is from the heart out.” And I completely agree. When it comes to my job, I have to say I wholeheartedly appreciate all the people I get to connect, and exchange comments and ideas with. On a daily basis, I get to e-meet many of our Paper.li users and find that sometimes our community knows more about how to use Paper.li than we do :). I’m often surprised by the creative and amazing ways that you all put your papers to use for the benefit of your audiences. Although I’ve tried to explain how you can find and distribute content with Paper.li, the real way to show the power of content and how Paper.li can help is by placing the focus on the work of our community. Today, I will be sharing 10 Paper.li papers that are surprising us constantly with fresh and relevant content! Let’s see them! Premier Polymers is a polymer sales and marketing company from Houston, TX. On their Paper.li, Premier Polymer News, they are successfully surfacing and sharing polymer industry related news with their customers. Curated by the Social Venture Network, dedicated to connecting and promoting a community of socially responsible entrepreneurs, The SVN Weekly shares news and stories that talk about their own community leaders and the latest happenings on the social good world. Nottingham Creative strives to bring together a community of creative professionals by aggregating and distributing interesting content and job openings. The Talking Finger Daily by Bill DeRosa serves us all with content around entertainment, technology and social media! I must mention that The Talking Finger is a multi-award winning social marketing agency! Axiom Medical is a consulting firm on healthcare management, workers’ compensation and disability programs. They state that part of their mission is to positively transform occupational medicine and they use Paper.li to gather articles around their industry and keep people well informed so that better health care decisions are made. Kudos!!! Martin English is a Technical Consultant from Australia and he uses Paper.li to promote his “Your Daily SAP News” where he collects articles about the Service Marketplace or SAP. #CareerHacks is edited by Ron Vereggen and he shares the best content around tips and tricks for job hunting or career hacks as found by him on the web or submitted by his own audience. Pretty cool, huh? Profile Media uses their Swiss Inbound Marketing News paper to share news content related to the Marketing scene, tips and practices in Switzerland. Hi neighboors! If looking for science news, Chemical Today has you covered. You should check out this and all of the CFDpapers on our Newsstand, they are worth it! ASfB provides Accounting Services for businesses. They use “The Business Insider” to source and organize the most interesting and relevant news about business for their audience. Such a cool array of papers, huh? If you want to check more of our Power Users, we have already promoted some of them on posts that you can check out here and here. Also, we advise you to go explore our Newsstand if you’re looking for more ideas. Share yours and tell us how you’re using Paper.li in the comments! Those papers are indeed very nice. Thanks for sharing. I did notice that most of those pages were not generating any traffic to the paper. Is there any paper.li newsletters that have been used to generate traffic? After subscribing to several PaperLi newsletters, I started my own about six months ago, opting for the PRO version to embed in my website, which brings more traffic to my site. Going PRO allowed me to customize my paper to match my website and feature own books as ads in the sidebar instead of outside advertising. As a novelist, I focus on content for writers and readers, limiting the categories and renaming them to suit the publishing industry. Ex: “Arts & Entertainment” is “Books, Movies and More”. Others are: Business of Writing, Tech for Writers, World of Writers. I may add video tutorials about writing, blogging, website design and even a few music videos or film trailers. While the sources of my content have taken time to fine-tune, I now feel I have some highly respected voices on the business automatically feeding my paper every day, which is gaining more interest from my fellow writers. Every morning, I spend a few minutes editing the new edition to choose my favorites to headline, particularly authors I know personally. When I send notification of publication to my social media, these writers are mentioned on Twitter, which promotes them and creates re-tweets. Win-win. Yesterday, I received a message from a writer whose blog featured a new book of another author. She was excited to tell me that previous posts about the fabulous author had only received a handful of hits. Yesterday, her blog had 1500 hits. The only difference was that her blog was one of the headlines in my newsletter. Pretty sweet! I may not have a big following yet. But I think it takes time to get the word out there. I have been asked to write an article for the Novelist, Inc. newsletter in December, explaining how I fine-tuned my newsletter for my website. Meanwhile, I plan to write my own blog about my personal observations of many PaperLi newsletters–what works and what doesn’t (in my opinion). I do believe that “going Pro” is worth the investment for a truly focused, branded newsletter. Thanks so much for your product!